Most famous outside of Pierce County for the U.S. Open that took place in 2015, University Place is a small city that is a neighbor to Tacoma, Washington. While it is a separate city, it is so close to Tacoma that living, working and playing here is not uncommon for area residents. Fondly called UP (as in yoo-pee, not "up") by locals, it's a great place to enjoy beaches and parks, but also a great place to live. UP is known for its strong school district, and other city amenities include a newer Pierce County Library and beautiful views of the sunset from areas near the shoreline. Many homes in this area also feature stunning sunset or Narrows Bridge views. It's tough to go wrong! While University Place is largely residential and doesn’t have many major attractions like downtown Tacoma does, there is plenty to do and see here. One of the best is to check out the parks. 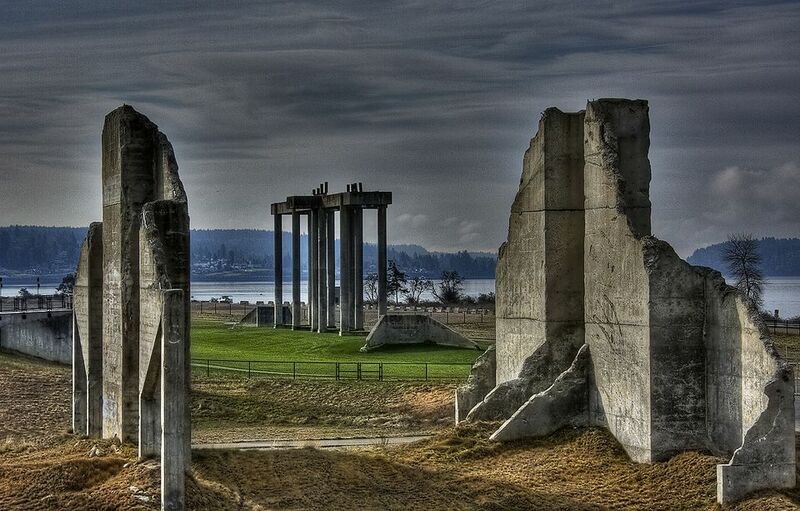 Titlow Beach Park at the bottom of 6th Avenue is the perfect all-around park. There's a rocky beach that's sometimes nonexistent when the tide is in, but is an expansive place to stroll when the tide is out. Titlow Beach is one of the best places to go beachcombing in Pierce County as periwinkles, starfish, jellyfish and more are regulars on the rocky shoreline. There are some restaurants (Steamers and The Beach Tavern), a paved boardwalk, a playground, playing fields and wooded trails, too. Chambers Bay Golf Course is where the 2015 U.S. Open golf tournament took place. It's got miles of paved trails open to the public, a clubhouse and restaurant, and a full 18-hole golf course. The Curran Apple Orchard is also a good spot for some time in the outdoors. Any time of year, the apple orchard is a park. During the fall, it's a place to pick apples or attend cider events. University Place isn't known for a happening dining scene as most of the restaurants are chains, but there are a few good options. Steamer's at Titlow Beach is an affordable seafood spot, Gyro Zone on 40th is a popular Greek restaurant, Lefty's Burger Shack on 27th has--you guessed it--good burgers, and Steph's Pizza on Orchard serves up great local pizza. There are some places to shop within UP’s city limits that Tacoma does not have. These include Trader Joe’s, Whole Foods and a number of independent shops. One of the best bakeries in the Tacoma area is also located here. University Place is a desirable place to live for its quiet neighborhoods, sunset and water views, but also its school district, which is one of the best in the area. The average sale price of homes in University Place was about $366,700 in 2017 according to Zillow.com. Generally, this area is more expensive than many Tacoma neighborhoods, except perhaps North Tacoma and Northeast Tacoma. Many homes here have a good amount of space with most being between 1,400 and 3,600 square feet, with a smattering of much smaller and much larger homes. Many of the houses are 1960s or newer as well, and there are options for some nice condos here too. There are some incredibly opulent homes tucked away on hillsides overlooking the water, especially off of Grandview just north of Chambers Bay, but expect to pay a hefty price for these. Apartments are plentiful in University Place and include a range of cheap places on up to more upscale rentals. A good location to look for cheap and mid-range apartments is along Bridgeport, which also puts you close to lots of shops and restaurants. Bridgeport Avenue apartments tend toward smaller complexes, but several large complexes are located in UP as well, including The Boulders (which is actually in Tacoma, but just barely), Carriage House and Orchard Crest Apartments. If you're looking for a complex with a pool, cabana or other community amenities, these three are good bets. UP apartment prices start in the $800s for studios and range up from there. With the more competitive housing market, apartments (especially in nicer areas of town) have become more expensive and competitive.